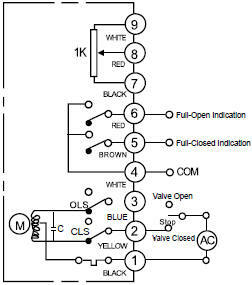 the power line at open and closed positions of valve. 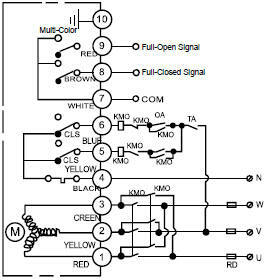 & 1 NC (normally closed) output switches. 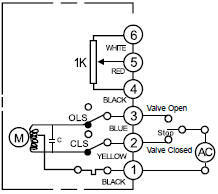 1000Ω potentiometer is relative to the valve position. Construction: With 500Ω, 94 1000Ω. 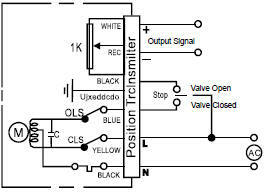 output switch with 500Ω or 1000Ω potentiometer. 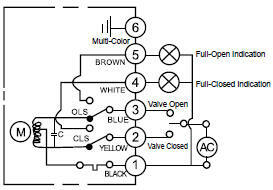 Function: The output signal 4-20mADC is relative to the valve position. 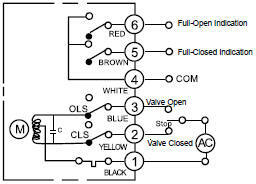 (normally open) & 1NC(normally closed) output switch. 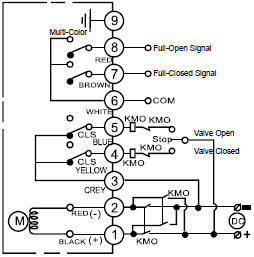 Contruction: With intermediate position switches.